Yesterday Apple Launched an innovative gadget (netbook) called iPad. 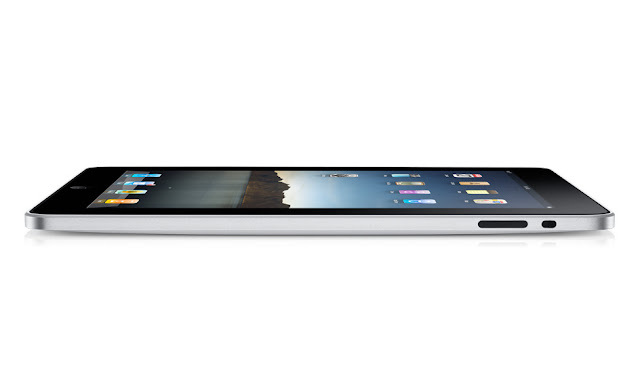 iPad may be called as the hybrid form of Apple iPhone and a laptop with a fully devoted touch screen. Apple's iPad has a high resolution 9.7 inch backlit LED display and wide 178° viewing angle which makes it easier to use by the whole family, I hope you don't talk about anti-glare screen now! Fingerprint-resistant oleophobic coating layer helps to avoid the screen to get dirty. The multi touch screen has been redesigned after sorting the problems came in Apple iPad very precisely. Multi touch helps you to use all of your fingers when running an application or browsing the web. 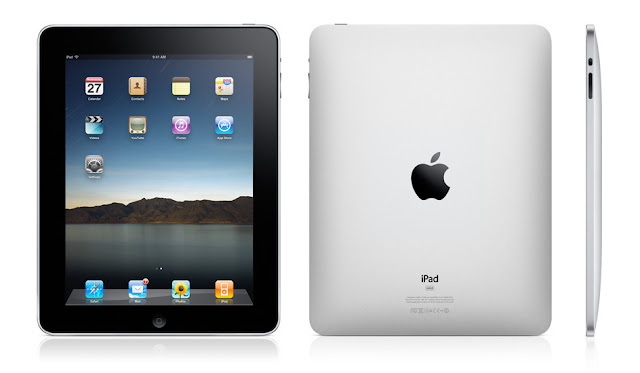 You can enjoy browsing the web with the iPad's built-in high-speed Wi-Fi and 3G on the 3G model. However, iPad doesn't allow you to connect by EDGE or GPRS. Hope the 3G auction takes place soon in India. IPad is available in the models of 16GB, 32GB, or 64GB of flash storage, hmm requires more! It has no USB port, so forget about pen drives and portable HDDs. It has a built in Microphone and Speakers, good enough to watch your favorite movies and YouTube videos. 1GHz Apple A4 custom-designed, high-performance, low-power system-on-a-chip, so this will complete your all day light computing. Officially many applications are available, and developers are willing to add more. This may, however, compete Amazon's e-book reader Kindle and Sony's e-book readers. The cost of an iPad is just slightly greater than Sony's e-book reader, while Sony's e-book reader only uses e-ink and iPad has an LED display! Hope it's available to order soon. Subscribe to RSS feeds to get updated. I want to get my hands on this soon. Then full review will be available in white hat android. Is BT Brinjal poisonous for our body?